It’s easy to feel very close to a budgie, as though you have a mutual understanding. What a wonderful feeling really, to have such a smart little pet that provides you emotional support and vice versa. I know I’ve certainly experienced how Toby and Kelly help me keep my emotions under control. So, it might seem logical or natural to use your best budgie pal as an emotional support animal, who accompanies you while out in the world in situations that may be stressful. 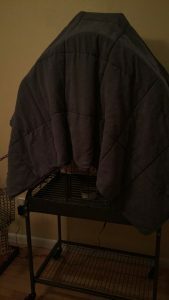 Here are just a few reasons I would caution you against taking your budgies out in public for anything other than necessity, such as going to the vet, or boarding them for a vacation. Budgie lungs are very sensitive and going out in public can expose them to several toxic irritants. Did you know that many retailers pump fragrance into their stores through their HVAC systems? I have to assume that since we can’t safely use plug-ins, febreeze, etc in our homes that exposure to this kind of fragrance outside the home, even just for a run in to grab something, would be very dangerous. Even if the store itself isn’t using fragrance there are loads of fragranced products in many big box stores and the cumulative effect of being around those products (even if they are sealed) is troubling. Additionally, they will have much greater exposure to car exhaust traveling frequently, as well as the potential for cigarette smoke. Beyond fragrance dangers, taking a budgie to a restaurant could expose them to fumes from the kitchen that you have no control over. Possiblly even non-stick coating which can be fatal. Additionally, even some casual restaurants use candles at the table which are also a big no for budgie-breathing. Budgies are prey animals who are prone to being scared of anything seen as a threat. I know that not all budgies are fearful, but you must keep in mind their instinct will be either to freeze in place, which may look to you like calm, or take flight. 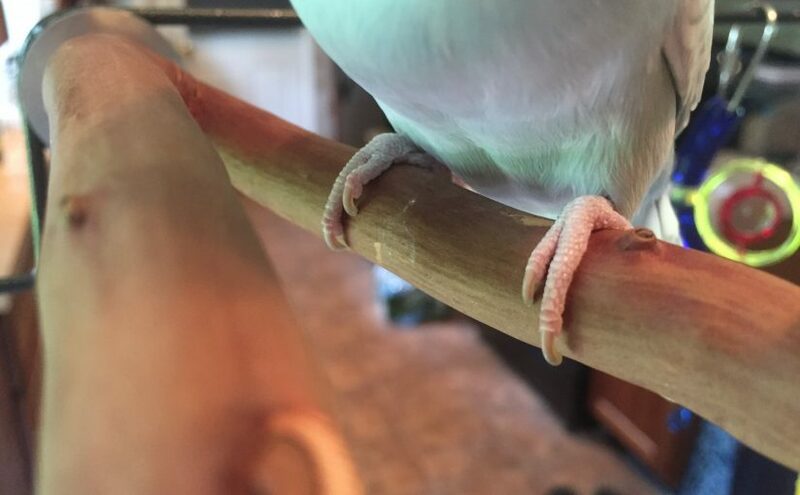 You could have several successful outings with your parakeet before finding out that something totally random scares them like crazy. If they are in a small travel cage a fit of panic could cause them great harm. Worse yet, if they are out on your shoulder you could lose them forever. 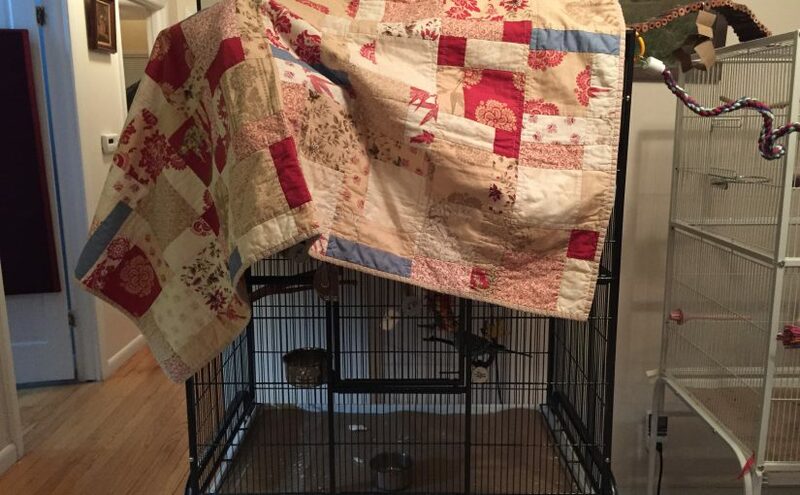 Just as a note, if you don’t have a travel cage make sure to get one or have another plan for transporting your budgie safely. You never know when you’ll have to evacuate your house due to fire or other emergency. Danger from other human beings. Taking your parakeet out in the world will almost certainly cause a small spectacle. Drawing attention of other people to your budgie could result in harm if someone decides to grab at him, and doesn’t understand how breakable he is. 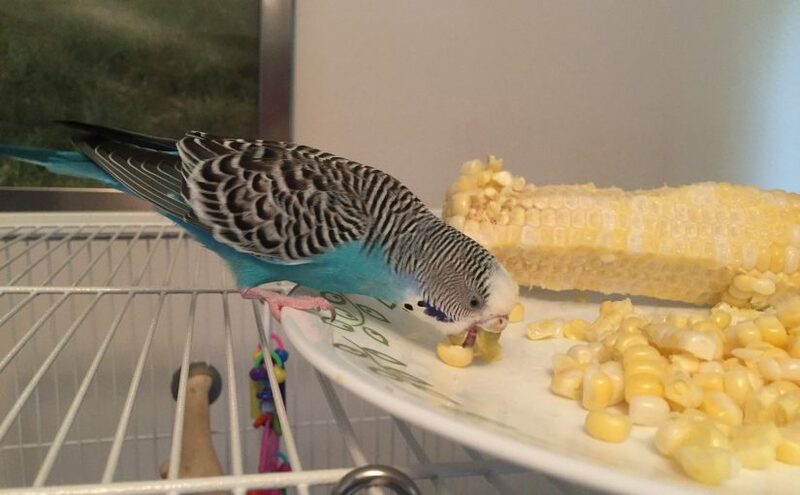 I’m not going to stand on a soap box and say that humans are horrible, but I think that there’s certainly a capacity for thoughtlessness and danger with introducing your budgie to a lot of people. 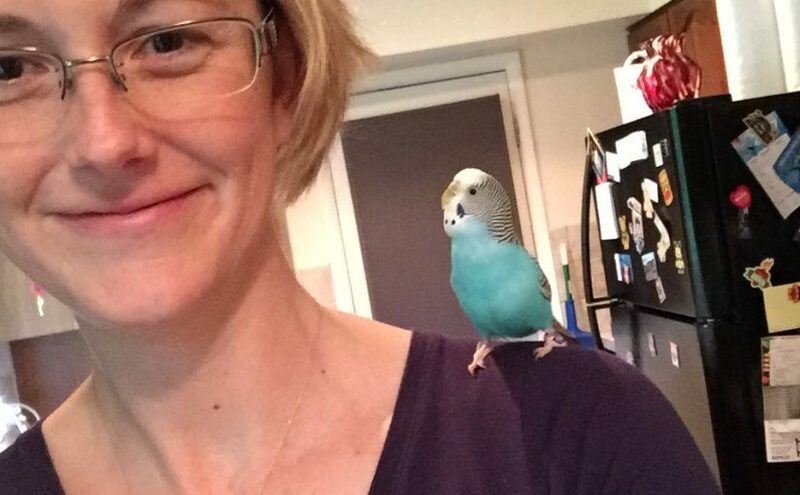 Don’t get me wrong, the relationship between a budgie and their human is totally special, and I absolutely believe that a budgie can fulfill the role of an emotional support animal. I also think that the safest way to do that is in your home. 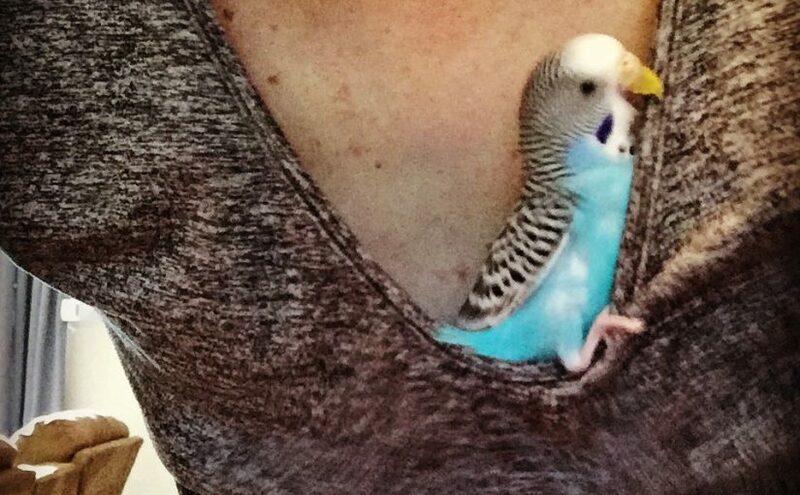 It might be tempting to try running errands with budgies, but the ultimate cost can be too high.